Six tanks at the Hanford Nuclear Reservation are leaking an estimated 1,000 gallons of nuclear waste each year. And with billions of dollars in automatic spending cuts about to occur, the US government may not have the funds to clean up the mess. Three underground tanks at the Washington-based nuclear reservation were last week found to be leaking at an initially-estimated rate of 300 gallons of waste per year. But Department of Energy investigators this week discovered three additional tanks were leaking, bringing the total estimated annual waste to 1,000 gallons per year. The Hanford Nuclear Reservation, which was established in 1943 as part of the Manhattan Project, is mostly decommissioned but still holds two-thirds of the nation’s radioactive waste in its 177 tanks. 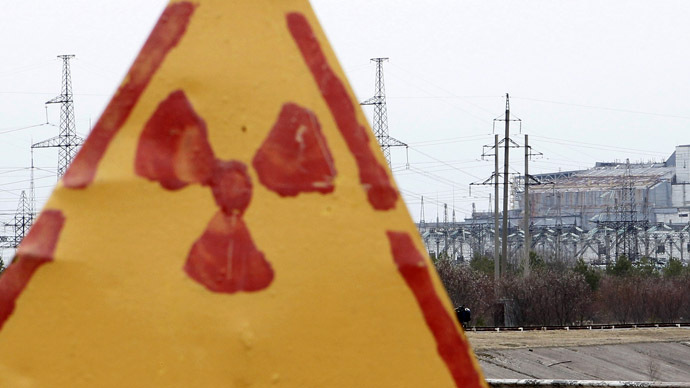 The millions of gallons of radioactive material, which still remain from Cold War-era plutonium production, are highly dangerous and are quickly dripping into American soil. Leaks were discovered years ago, but the Department of Energy said the problem had been solved when it was initially discovered in 2005. But Inslee also said that the government currently has no available technology to stop the leaks and is unable to stop the radioactive material from flowing into the earth. Officials are currently discussing possible methods of extracting the waste from the soil, but coming up with a solution could take weeks or even months, Inslee said. The government estimates that already 1 million gallons of radioactive liquid have leaked from the Hanford Nuclear Reservation – yet still, Inslee claims the material poses no immediate threat to public safety. Meanwhile many question government's spending on the clean up efforts. The radioactive waste contains the most dangerous chemicals known to man, including plutonium, enriched uranium, nitric acid and solvents. “To get this into perspective, to get your head around this, imagine 80 Olympic-sized swimming pools containing the most toxic substance known to science of which two Olympic-size swimming pools have leaked right into the ground and eventually into the water table and, perhaps, even into people's drinking water,” Kaku added. Governor Inslee believes that the $85 billion in automatic government spending cuts, set to go into effect on March 1, would make it more difficult for the government to clean up the waste. The Department of Energy estimates that it would take $114.8 billion to clean up the waste “before the end of this century,” Inslee said. 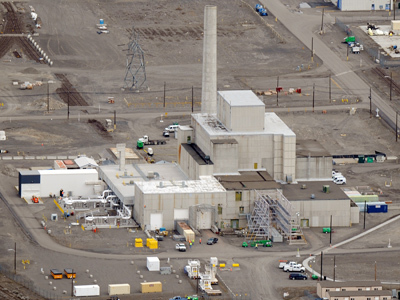 With an inadequate budget for the cleanup effort and no technology to stop the leaks, the area around the Hanford Nuclear Reservation could soon be in grave danger – especially if the waste makes its way into Americans’ drinking water.